Visualize the exponential function that passes through two points, which may be dragged within the x-y plane. Also see the resulting equation. 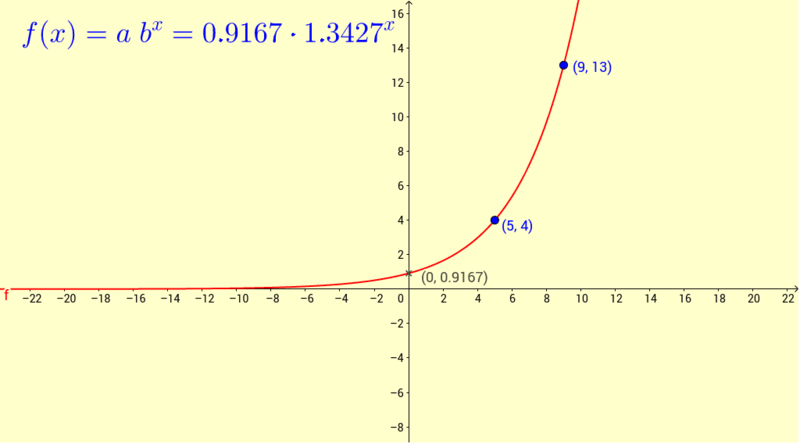 In the function f(x) = a b^x, what is the significance of the value of a in the graph? When the function is increasing from left to right, what do you notice is always true about the equation? How about when the function is decreasing? What needs to be true about the equation in order to make the graph pass through the third and fourth quadrants?